Climate change, pesticides and land use changes alone cannot fully explain the decline in insect populations in Germany. 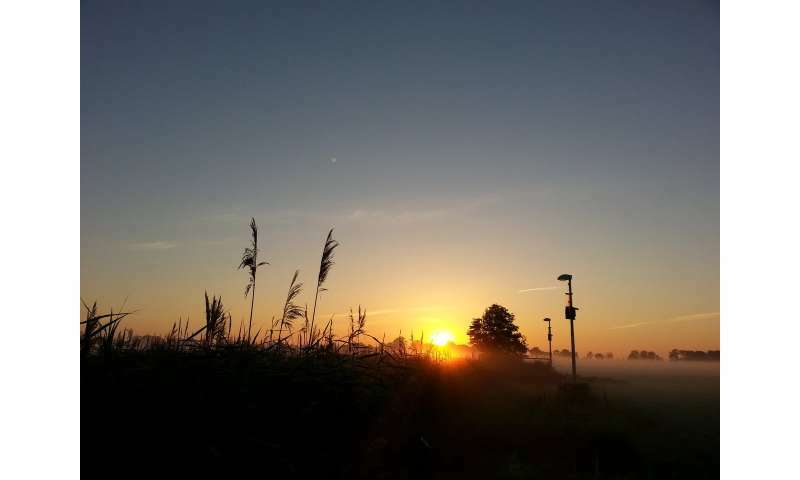 Scientists from the Leibniz-Institute of Freshwater Ecology and Inland Fisheries (IGB) have now discovered that regions that have experienced a sharp decline in flying insects also have high levels of light pollution. 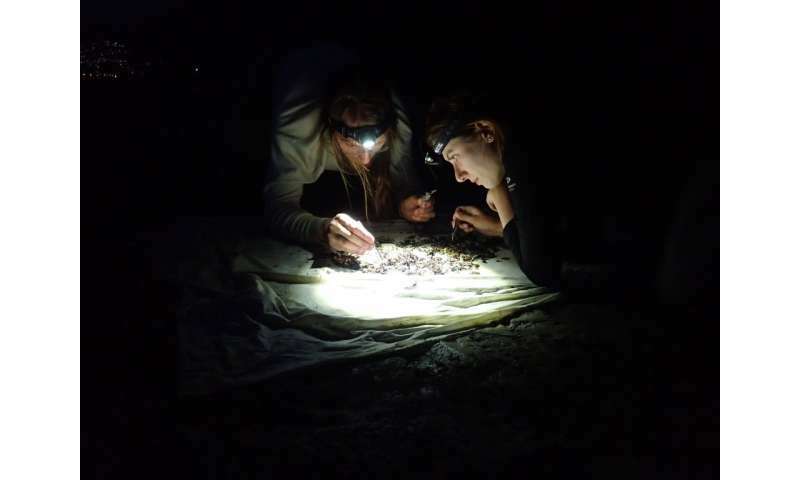 Many studies have suggested that artificial light at night has negative impacts on insects, and scientists should pay greater attention to this factor when exploring the causes of insect population declines in the future. The biomass of flying insects has decreased by more than 75 per cent—this alarming figure made front page news in autumn 2017. The study, published in 2017, analysed trends in biomass of flying insects in selected protected areas within agricultural landscapes over the last 27 years, and concluded that changes of climate and habitat are to blame for the decline in insect populations. At the same time, they pointed out that these impacts alone are unable to explain this drastic decline. Clearly an assignment for scientists from the Light Pollution and Ecophysiology research group at IGB. After all, they know from previous studies that artificial lighting at night strongly affects the number of insects and insect communities. Therefore, the team led by IGB researcher Dr. Maja Grubisic looked at the locations of the areas involved in the 2017 study: areas in conurbations that have a higher than average level of light pollution. "Half of all insect species are nocturnal. As such, they depend on darkness and natural light from the moon and stars for orientation and movement or to escape from predators, and to go about their nightly tasks of seeking food and reproducing. An artificially lit night disturbs this natural behaviour—and has a negative impact on their chances of survival," explains Maja Grubisic the starting point of their investigation. The scientists analysed all recent studies on the effects of artificial light at night on insects, and found that there is strong evidence to suggest a credible link between light pollution and declines in insect populations. For example, flying insects are attracted by artificial lights—and, at the same time, are removed from other ecosystems—and die from exhaustion or as easy prey. Additionally, rows of light prevent flying insects from spreading; causing a lack of genetic exchange within fragmented insect populations that could reduce their resistance to other negative environmental influences, which are especially pronounced in agrarian areas. A decline in insect populations in agricultural areas—which make up no less than eleven per cent of land use worldwide—does not only mean a decline in species diversity, but also jeopardises important ecosystem services: for example, there are then fewer moths, beetles and flies to pollinate plants. Also, changes in the occurrence and behaviour of pests such as aphids or their enemies such as beetles and spiders can disturb the balance of this well-tuned system. Furthermore, artificial light at night may also have a direct impact on the growth and flowering time of plants, and therefore on yield. "Our overview study shows that artificial light at night is widely present and can have complex impacts in agricultural areas, with unknown consequences for biodiversity and crop production. Thus, light pollution should be generally considered as a potential ecosystem disturbance in future studies to identify ways in which practical steps can be taken to reduce environmental concerns," says Dr. Franz Hoelker, head of the Light Pollution and Ecophysiology research group at IGB.